What artificial intelligence can and cannot do (yet) for your business? Today artificial intelligence seems to be everywhere. Moreover, AI will be in just about every product and service we buy and use. And at the same time, concerns about AIs implications are rising: we worry about the impact of AI-enabled automation on the workplace, employment, and society. 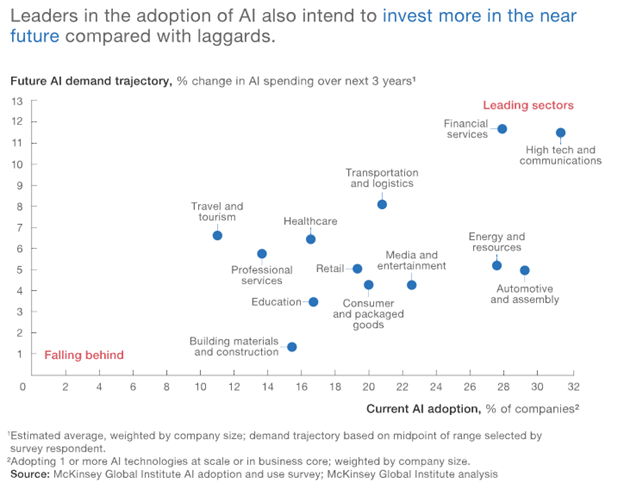 AIs challenges and limitations are creating a «moving target»: it is hard to reach a leading edge that is always advancing. In addition, when businesses discontinue to race, there is a yawning divide between leaders and laggards which can readily be seen, for example, across and within some sectors. Main limitations associated with the AI application include data labelling (tagging) needed to train the system in creating respective commands and handle massive data sets amounting to thousands of data records to become relatively good at classification tasks and, in some cases, millions of them to perform at the level of humans. AI processes and techniques are quite difficult to explain and understand. They summarize all accumulated data which creates a barrier to the adaptation to certain situations. Finally, one more problem is a focus on algorithms and built data chains rather than deviation from them. Nevertheless, methods for using complicated data sets, fresh thinking, adaptation and constant update of AI knowledge and skills can be seen as a solution to the above problems. You should use and try to use the most innovative ideas and trends to remain competitive and always stay ahead of your opponents on the way to the «moving target». If you wish to become a leader in this field, understand key important issues thwarting AI development progress and are able to utilise available leverages and tools to overcome these limitations, then this article is what you need. The Digital World Is Already Here! Are You Ready? How Can We Protect Privacy in the Internet of Things Era? The articles defines an artificial intelligence term as a «moving target» and outlines its key weaknesses and ways to eliminate them to continue to be one of the technological leaders in future. The annual report by PricewaterhouseCoopers describes key trends in global and Russian markets for entertainment and media (E&M) and gives a forecast for industry development over 20182022.